Tue., Aug. 21, 2018, 8:43 p.m.
NEW YORK – San Francisco Giants catcher Buster Posey might need hip surgery that would end his season. 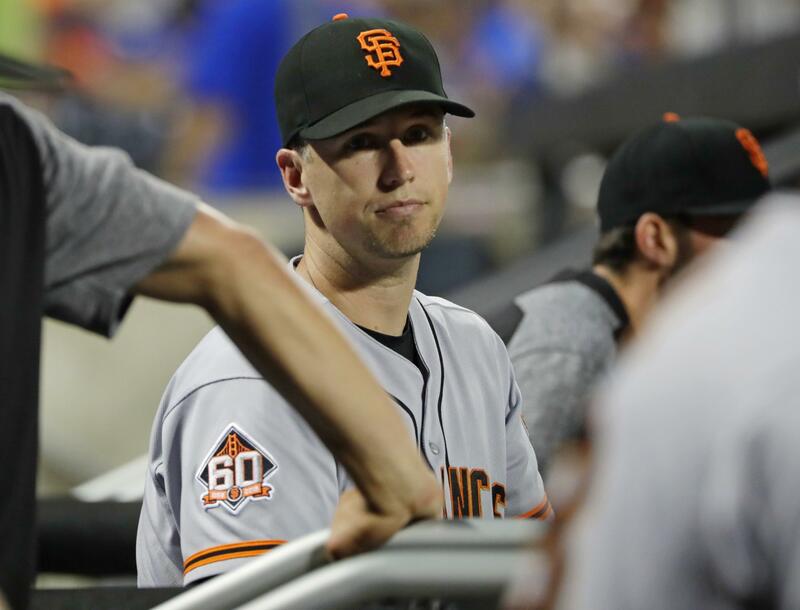 The San Francisco Chronicle first reported on Posey’s situation. Posey has been dealing with hip trouble this season. A six-time All-Star, he got a cortisone injection and missed last month’s game. The 31-year-old Posey didn’t start Tuesday night against the New York Mets after catching all 13 innings in a win Monday. The Giants began the day at 62-64 and on the fringe of playoff contention. Posey is hitting .286 with five homers and 40 RBIs. Since the All-Star break, he is hitting .283 with no homers and nine RBIs. Posey hasn’t homered in a span of 166 at-bats since June 19, the third-longest homerless drought of his career in terms of days. Published: Aug. 21, 2018, 8:43 p.m.